The September Members' Meeting was a true success as MAESA and St. Andrew's Episcopal School welcomed heads of school, directors of diversity and multicultural education, chaplains and others to engage in the work of honest conversations within our school communities. The discussions in our schools among adults and students will be strengthened by what was learned this day. MAESA will share a recording of the fantastic workshop by Dr. Rodney Glasgow from that meeting in the coming weeks. We hope that you will share it with those in your school who missed this day. MAESA extends a sincere thank you to Dr. Rodney Glasgow and to St. Andrew's! MAESA Early Childhood Educators Conference on October 26th Registration deadline is October 17th . Download the details and the registration form here . The keynote speaker, Ms. Jacky Howell, Early Childhood Specialist, will discuss how we are “Partners on the Path of Childhood” (See more details below). In addition to preschool and kindergarten workshops, several workshops focus on material for teachers of children in kindergarten through 3rd grades. We have more than 15 workshops planned. Take a look at our workshop descriptions and plan to register your faculty of all early childhood ages. "Why I Teach in an Episcopal School " In our October feature we hear from Kate Kelliher, a second grade teacher at Grace Episcopal Day School in Kensington, MD. Kate shares w hy she loves teaching in a place where every child is “known, nurtured, challenged, and loved.” I n this month's " Spread The Word" learn about the ways students of all elementary grades are incorporated into the weekly chapel program at St. Stephen's & St. Agnes Lower School in Alexandria, VA.
Our MAESA Episcopal Schools Day Services in October reflect the NAES Biennial Conference theme: LEARN to do right, SEEK justice, DEFEND the oppressed. 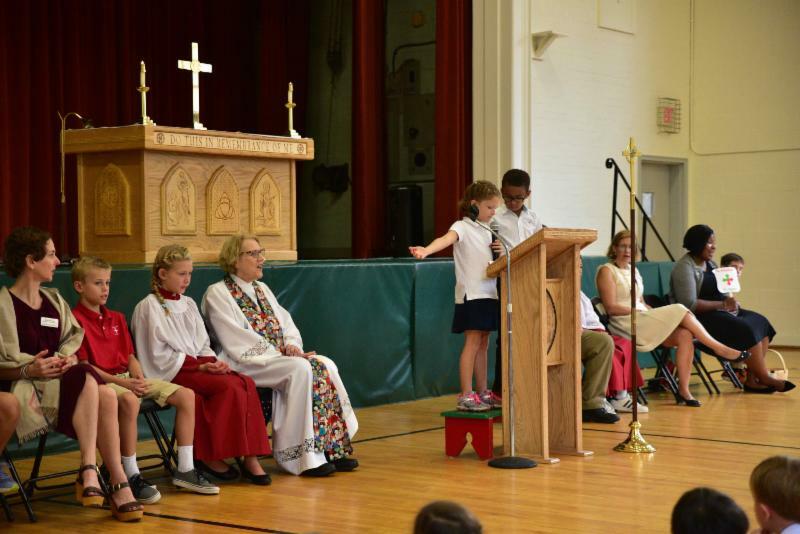 Episcopal Schools Day Service October 10, 2018 at 10a.m. hosted by Beauvoir The National Cathedral Elementary School held at Washington National Cathedral with Lisa Kimball, Ph. D. as our preacher. 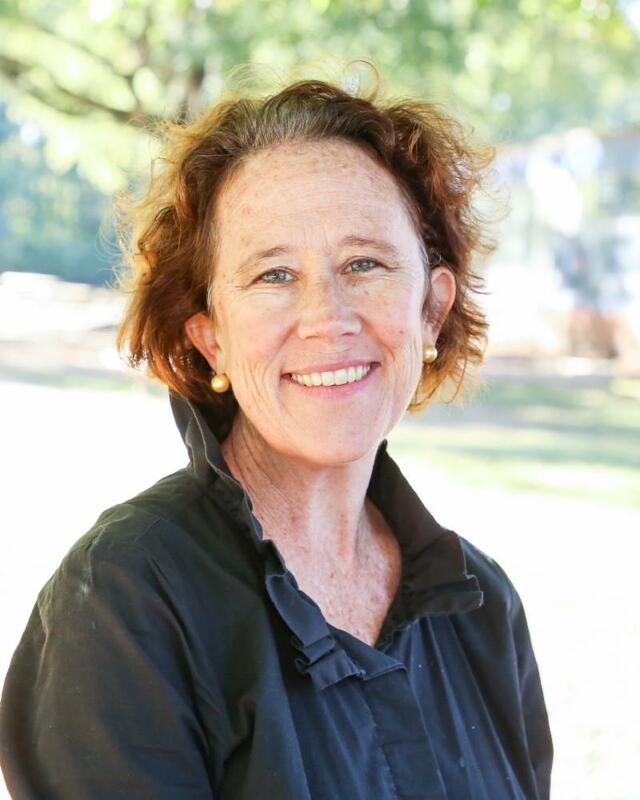 Lisa is the Associate Dean for Lifelong Learning and Professor of Christian Formation and Congregational Leadership at Virginia Theological Seminary. We are expecting fifteen MAESA schools and more than 850 students! Richmond Episcopal Schools Day Service October 17, 2018 at 10a.m. MAESA welcomes five Richmond area Episcopal schools to this inaugural worship service at All Saints Episcopal Church in Richmond. Our service is hosted in partnership with St. Catherine's School . The Rev. Dr. Dorothy White will serve as our preacher. Dorothy is the chaplain at St. Catherine's School in Richmond and a MAESA Board of Governors member. MAESA Early Childhood Conference October 26, 2018 at St. Stephen's & St. Agnes School lower school campus in Alexandria, VA. MAESA's 2018 conference features teacher-to-teacher workshops for our early childhood educators. View a complete description of the workshops and agenda here . The keynote speaker, Ms. Jacky Howell, Early Childhood Specialist, will discuss how we are “Partners on the Path of Childhood” Join in this uplifting and inspiring presentation on the relationship we have as adults on young children’s lives. Be ready to laugh as well as reflect on this inspiring journey we share with children. We will be reminded of both the responsibility and opportunity we have in affecting children on their journey through childhood.l Jacky has over 43 years experience as an early childhood teacher and administrator and over 30 years experience as a course instructor and presenter on topics related to early childhood development and curriculum. She is a published author with her book, Rituals and Traditions: Fostering a Sense of Community in Preschool . In addition, she has published many articles in early education journals. She received her Master’s degree in Human Development from Pacific Oaks College and is a certified OSSE trainer. Currently, she is a consultant and trainer with her own business, azspire llc., www.azspire.com . She works with early childhood programs as a consultant, does webinars, and workshops and presentations locally and nationally. MAESA Choral Evensong February 10, 2019 at Washington National Cathedral hosted with St. Albans School and National Cathedral School this beautiful service provides the chance for our MAESA upper school choirs rehearse together and to sing Evensong with the Cathedral Choir. MAESA Scholars Fair April 26, 2019 at National Cathedral School for Girls for grades 4th-8th. Students enjoy displaying their creativity and knowledge through events and competitions. I love my job teaching second graders at Grace Episcopal Day School. Apparently, I’m in the small minority of people across the world who love their jobs. Why do I look forward to teaching at Grace each day? Grace is a joyful place. We sing, we pray, and we play. We take the time to enjoy our students and share a tender moment with them. The community is warm and welcoming. Our families support us in countless ways, and our alumni come back time and again. Our fifth graders are sad to leave. Grace children are known, celebrated, and loved. When I walk through the doors of Grace each morning, I get to leave the “real” world behind for a few hours, and there is a sense of calm and a measure of hope that overcomes me. I think we cultivate this joy in our cozy Episcopal elementary school because we allow ourselves ample time and space. Time and space to allow young children to appreciate themselves and one another. Space to make mistakes, be challenged, and explore. 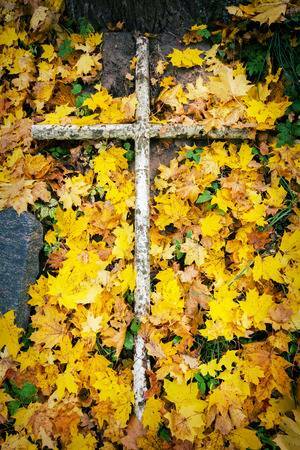 Time to think, ponder, reflect, and grow closer to God. Time for teachers to get to know students, to nurture them, and to love them. When I taught in public schools, there was always a sense of urgency: raise test scores, fill achievement gaps, get kids to the next level. There was little time dedicated to slowing down and cherishing the children we had the privilege to teach every day. At Grace, we are not rushing through childhood. We’re able to take the time to have mindful and meaningful interactions with students, parents, and one another and learning to nourish ourselves in the process. At Grace, we claim that every child is “known, nurtured, challenged, and loved,” and it’s really true. When our fifth graders deliver their final chapel prayers on the eve of their graduation, they often talk about their lives at Grace feeling like warm embrace: they found friends, felt welcomed by kind and gentle teachers, learned to be themselves, and had the time and space to enjoy being a young person and being known as a child of God. In these uncertain times, it’s places like Grace--and the people who inhabit it--that give me hope for the future and our world. 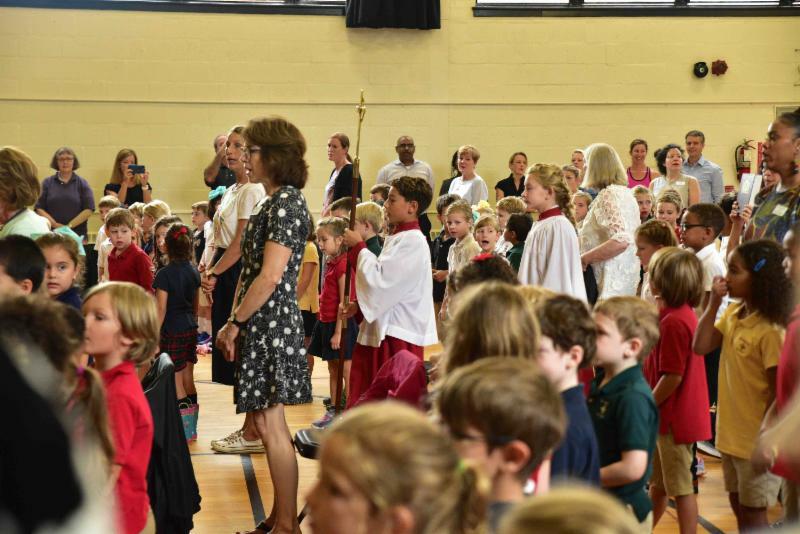 As a member of the Church Schools in the Diocese of Virginia, St. Stephen’s and St. Agnes School’s foundation and mission are rooted firmly in the tenets of its Episcopal identity. This identity reaches all corners of the community, informs its programs, inspires its students to embrace opportunities for service, and ensures that each member of the community can stand in their own faith and be open to all. 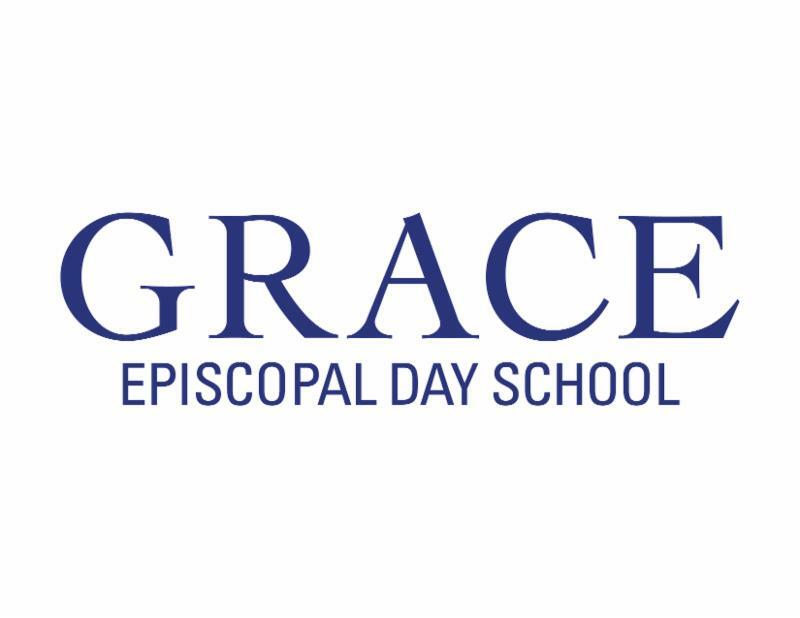 The principles and ideals of the school’s Episcopal identity are experienced through inclusive weekly chapel services on each of its three campuses, age-appropriate religious study that uses the teaching of Christianity to foster dialogue with other faith traditions, and community engagement that allows students to develop an understanding of equity, justice, and inclusion, and practice empathy and environmental stewardship. The National Association of Episcopal Schools identifies four pathways in which Episcopal identity is expressed in schools: social justice, religious formation and study, community life, and school worship. At the intersection of the latter two pathways are treasured traditions at the St. Stephen’s and St. Agnes Lower School, home to students in junior kindergarten through fifth grade. At the beginning of each chapel, prelude music is offered by a student pianist before fifth graders lead the procession of participants and proudly serve as acolytes. They display serious and determined faces as they light the candles and looks of accomplishment as they “change the light” by extinguishing them. Junior kindergarten and kindergarten students join together with increasing confidence to give a musical offering to the assembled group of students, parents, and faculty and staff members. Parents and adult family members are welcome to attend chapel services and they look proudly upon students selected to participate in each chapel. This includes second and third grade students who read the psalm and the lesson. Fourth graders read prayers written throughout the week by their peers. Students often offer prayers for family members, their pets, their teachers, and each other. In the school cycle of prayer , individual homeroom teachers and their students, specials teachers, and members of the administrative team are prayed for by name. Students, teachers, and staff members celebrating birthdays that week stand as the school birthday prayer is offered for them. Our heavenly Father, we give you thanks this day for all the blessings you have showered upon us—our free land, food, shelter, and the ability to work and play without fear. We ask that you would look with compassion upon all children in distress wherever they may be. Grant them and us your peace in the name of the Christ Child. Amen. Each chapel includes a homily offered by a chaplain, teacher, administrator, or group of students. The lower school students’ especially appreciate hearing from Upper School students. As the service nears its conclusion, students wait with eager anticipation to hear which two grade-levels will gather with the head of school and the lower school head so they may offer a handshake and greeting and receive one in return. Students are reminded that they are “giving seven” by offering their five fingers and steady eye-contact during the exchange. This treasured tradition serves to validate our young learners and inspire them for future engagement. Upper school students and alumni often speak of their desire to replicate this and other warm connections they experienced in lower school chapel. The St. Stephen’s and St. Agnes mission guides faculty, staff, and families to honor the unique value of each of its members as a child of God in a caring community. They appreciate this and other opportunities for MAESA schools to share practices and celebrate our Episcopal identity. They will relish the opportunity to “give seven” to the teachers and administrators attending the MAESA Early Childhood Conference at the SSSAS Lower School on Friday, October 26.